Yesterday was my first shoot of 2010 and if they all go as easily, then 2010 will be a good year. I wasn’t shooting a band, or a model. It wasn’t a wedding or even an event. 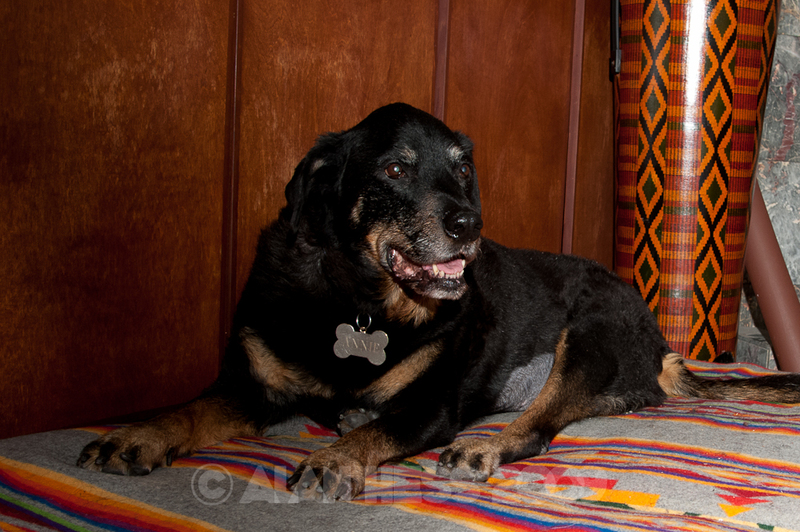 Yesterday I shot a series of dog portraits of two very special animals; Annie & Shasta. 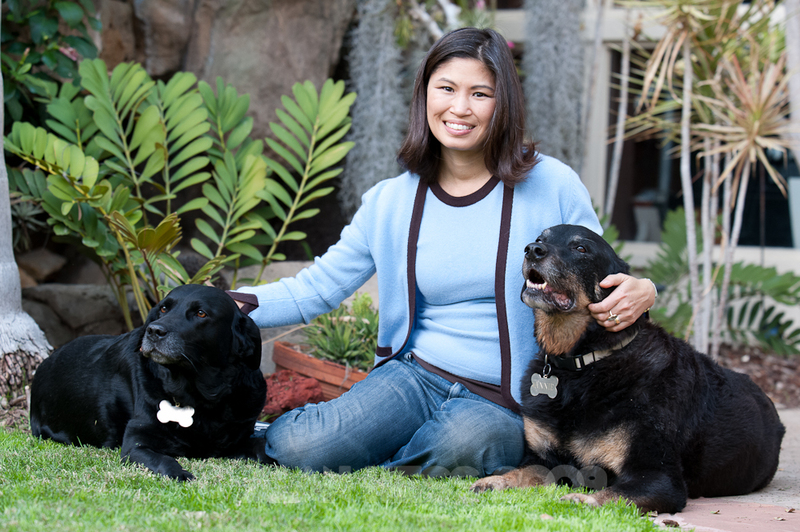 Both Annie and Shasta are trained service dogs (retired) and now live a comfortable life here in San Diego with owner Lori. 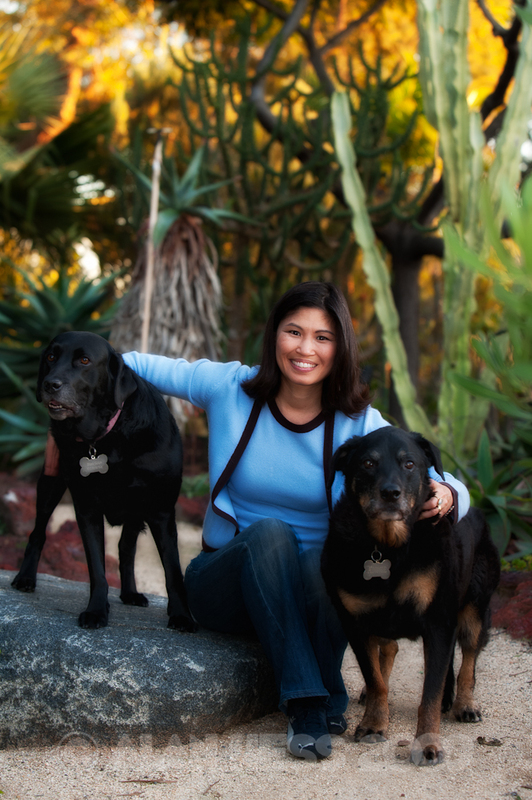 The shoot was set up because Annie is getting on in years and Lori wanted to make sure that there were some good photographs while it was still possible. This included shooting Annie in her favorite spots around the house and out in the yard. 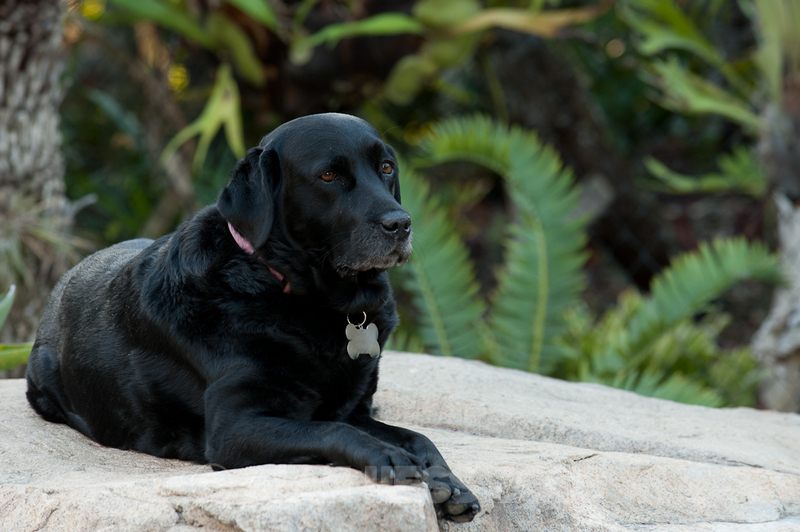 Annie sat quietly and patiently waited for me to adjust the background and add a voice activated light stand to add a little drama to the lighting. Shasta on the other hand has a lot more energy and runs around paying little attention tot he big guy with the camera. It was only the liberal application of doggie treats that got her to sit quietly. It was a real pleasure photographing subjects that didn’t complain, fuss with their hair, and need makeup breaks. And it was wonderful knowing that the photos will be treasured for many years to come. Interesting post and I felt it it to be a step up from many of the other entries on the blog. Nice post! I had to get home to my laptop to see it because when I tried to open the hyperlink in my phone it looked weird. Hello all the way from Tenerife! (I think its good to know where my blog visitors come from) I have enjoyed reading some of the posts from the blog. I had a little hassle with the feed reader, but I think that’s OK now. So I’m able to keep up to date with you.